2005 ASCAP Rhythm & Soul Awards Classic Rock Photo Archive from Photofeatures for Media use in publications, TV, Film, Album Design and online. 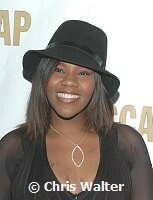 2005 ASCAP Rhythm & Soul Awards photos © Chris Walter. These photos may not be copied, linked to or published in any form without permission, including on websites, Facebook or pinned without a visible watermark. Alicia Keys arriving at the 2005 ASCAP Rhythm & Soul Music Awards at the Beverly Hilton in Beverly Hills, June 27th 2005. Photo by Chris Walter/Photofeatures. 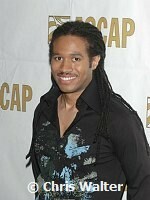 Anwar Robinson arriving at the 2005 ASCAP Rhythm & Soul Music Awards at the Beverly Hilton in Beverly Hills, June 27th 2005. Photo by Chris Walter/Photofeatures. 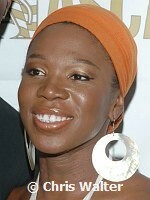 India.Arie arriving at the 2005 ASCAP Rhythm & Soul Music Awards at the Beverly Hilton in Beverly Hills, June 27th 2005. Photo by Chris Walter/Photofeatures. 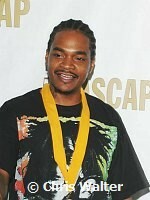 Chingy arriving at the 2005 ASCAP Rhythm & Soul Music Awards at the Beverly Hilton in Beverly Hills, June 27th 2005. Photo by Chris Walter/Photofeatures. The Game arriving at the 2005 ASCAP Rhythm & Soul Music Awards at the Beverly Hilton in Beverly Hills, June 27th 2005. Photo by Chris Walter/Photofeatures. Jimmy Jam and Terry Lewis arriving at the 2005 ASCAP Rhythm & Soul Music Awards at the Beverly Hilton in Beverly Hills, June 27th 2005. Photo by Chris Walter/Photofeatures. Janet Jackson arriving at the 2005 ASCAP Rhythm & Soul Music Awards at the Beverly Hilton in Beverly Hills, June 27th 2005. Photo by Chris Walter/Photofeatures. 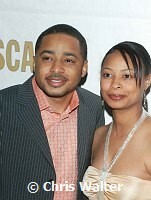 Nadia Turner arriving at the 2005 ASCAP Rhythm & Soul Music Awards at the Beverly Hilton in Beverly Hills, June 27th 2005. Photo by Chris Walter/Photofeatures. Nancy Wilson arriving at the 2005 ASCAP Rhythm & Soul Music Awards at the Beverly Hilton in Beverly Hills, June 27th 2005. Photo by Chris Walter/Photofeatures. 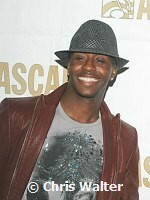 J-Kwon arriving at the 2005 ASCAP Rhythm & Soul Music Awards at the Beverly Hilton in Beverly Hills, June 27th 2005. Photo by Chris Walter/Photofeatures. Home Events Artist List TV-Film Contact Archive FAQ Download FAQ Blogs Terms Personal Print FAQ Mobile 2005 ASCAP Rhythm & Soul Awards archive photos.